Focus: Smartphones and Gadgets: Nokia's N97 - what's it gonna be ? The Nokia N97 is the next-in-line flagship device that Nokia's going to throw at Apple to fight it out with the iPhone though the Samsung Omnia is something to be reckoned with. The N97s puny 434 Mhz processor, an ARM11, is seriously freaking fans out. With such a weak processor God knows how they're gonna keep up with the transition effects shown in the promo videos. Not to mention the amount of software tweaking they'll have to do to get the mobile computing smoothened out, there will probably be a firmware update the first of every month - FWU Day, and everyone could flock to the closest NSUs ! But the 1500mAh battery tells us that that there will be good standby time - low consumption and all. The slider mechanism is more complicated than usual. Remember they couldn't even set the simple hinged slider on the n95 right ! In the end I had to stick it with scotch tape. Bad build for an X-flagship phone. For our beloved N97, we already know that the display ribbon shows up when the qwerty keyboard is unleashed - it's gonna get someone in trouble, fer sure !! This phone is overweight ! 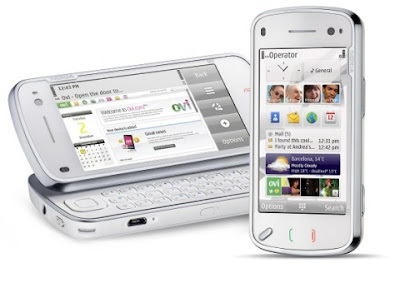 Remember the heavy N81 phone ? I will never understand this- why is the n81 so heavy? What weights 140 g inside that piece of glossy plastic? Only n93i is heavier than this. Surely that ain't good. What if I run and the n81 falls from a height? The mobile phone will break in pieces ( simple physics law- as heavier a thing is, the bigger damage happens if it fails). It's competitor, w910, is almost 60 g lighter than n81. 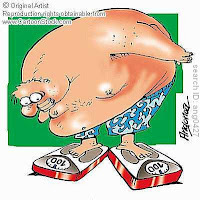 Nokia could at least try to lose some weight before it was presented. Even Oprah did it ! Well the N81 was only 140gms, the N97 is 150gms ! The N95 is just 120!! That's a 25% increase in weight !!! These handsets are not only gonna look and feel like a computer, but weigh like one as well.. well then what's the point in buying these low power comps ? 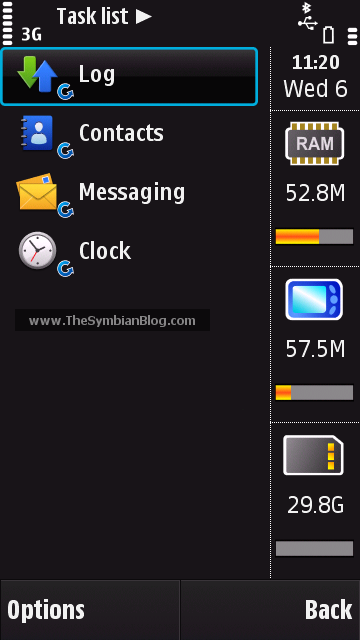 Vaibhav from The Symbian Blog says that the N97 showed 52+MB of free RAM on booting. But if it'll allow us to multi-task remains to be seen with the underclocked processor. The pre-order price for the N97 is 699$. There is a PromoCode, CARTP409N which will get you a 10% discount (70$), but eliminate the coupled bluetooth headset. The market price of a BH-703 is just about the same so it's your personal choice. Judging by the size and weight of the mobile phone, Personally, I'd go for the headset - radiation and all. This is after Nokia corrected the error of selling it at 524$ with the coupon lowering this by another 50$ to 474$ - they must have realized the phones actual value.. When the N97 comes out on contract remains to be seen, perhaps with a good data plan (read unlimited) to make use of the great browser and mobile email features. I wonder if Opera is releasing any browser other than the generic version ? All in all, it's a strange phone with a funny start. Read>> Will the N97 survive ? Whoa! Great post. It's the first time i'm seeing a "no frills" post, packed with just the facts needed. Thanks for letting me know how you think guys, sadly i haven't had the chance to trial the phone. I'm a student and haven't got any way to source the phone, so i had to rely purely on researching the internet and experience.